The Professional Lighting Control. Master Your Tank Illumination Perfectly. Achieving natural lighting conditions in your aquarium has never been easier. 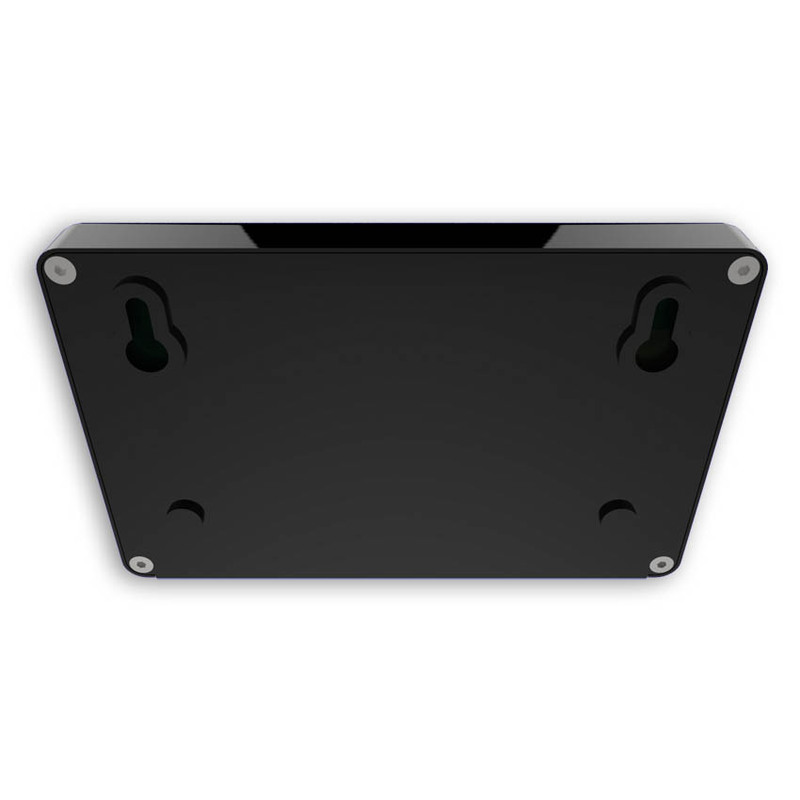 The new compact aquarium controller Profilux Light offers many familiar features found in the proven high-end ProfiLux-3 series, all at an attractive price. ProfiLux Light can control dimmable and non dimmable lighting, variable speed flow pumps, and much more. It can also be operated with a PC via USB. 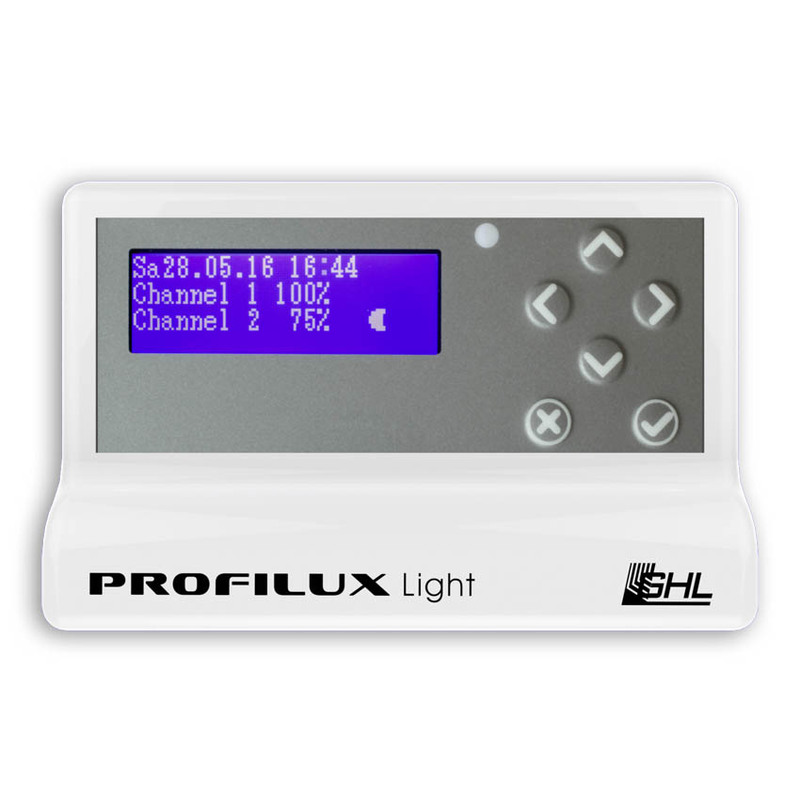 The ProfiLux Light automated lighting control function provides you with unique lighting features. When combined with our dimmable luminaires (LED and T5/T8), fascinating light scenarios can easily be made. ProfiLux Light gives you the option to adjust your illumination settings and fully automate your lighting fixture for day to day functions such as Sunrise/sunset, Cloud cover, Rainy days, Tropical dawn, Calendar-based moonlight simulation, Seasonal lighting, or Thunderstorm simulation. 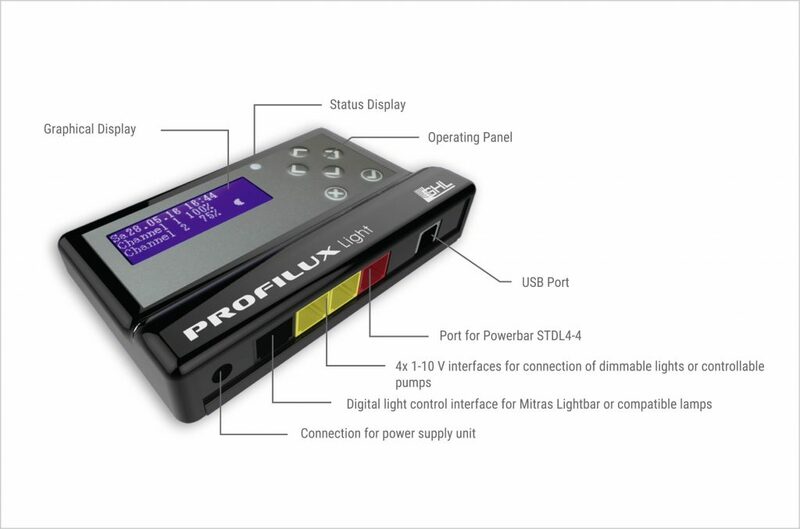 Operation of the ProfiLux Light is simple and intuitive. All settings are user friendly and guided by interactive dialog. No programming skills required here! 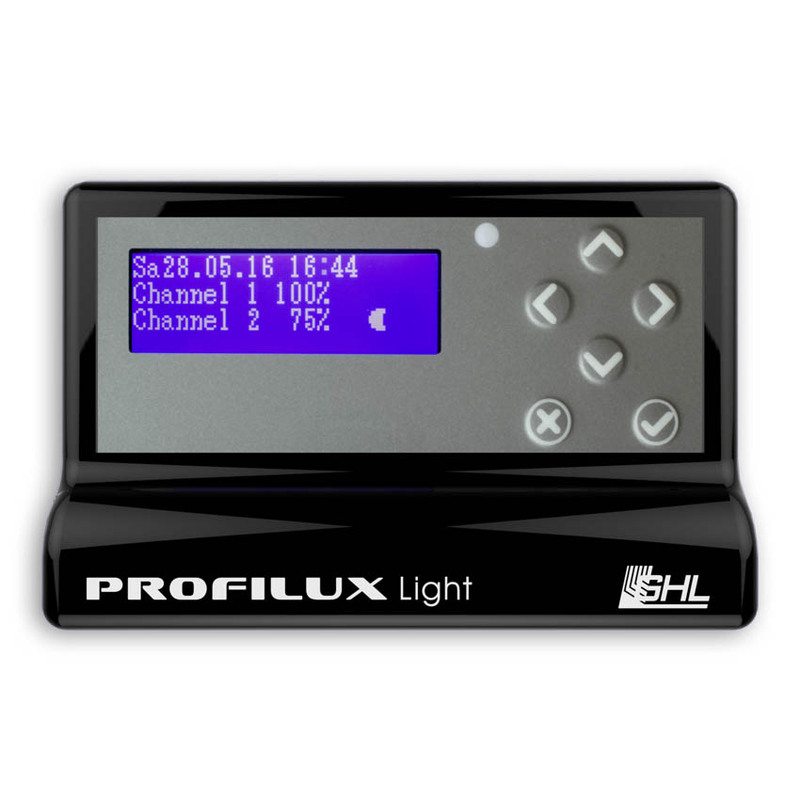 The ProfiLux Light is easily accessible using the 6 keys on the device. 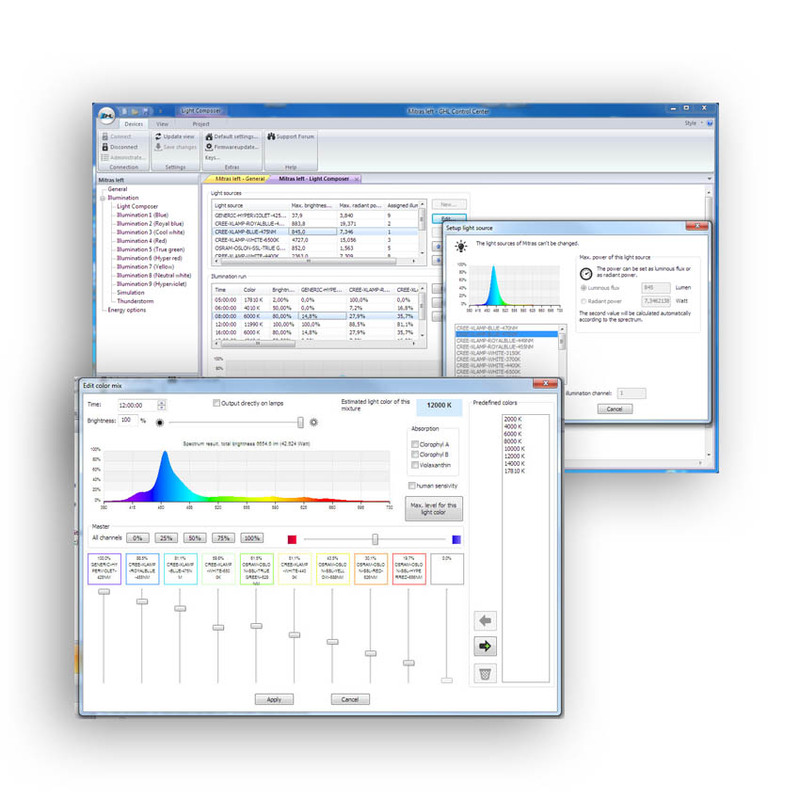 For even more convenience, you can use our free operating software GHL Control Center (GCC), available in our download area. We offer regular firmware updates to ensure that your ProfiLux remains future proof and is always up to date. Did you know that you can easily control variable speed stream pumps using the 1-10 V interface ports on your ProfiLux Light?